With each passing day, the techniques being employed in educating the students are increasingly becoming redundant and that calls for the application of newer methods of teaching students. Gone are the days when it was considered the best management technique to stuff the brains of students with information, but in today’s world the stress is more on ensuring that the student is being able to absorb and imbibe the course which they are supposed to be taught. Naturally, this has necessitated the need to divide the dissemination of course material in multiple sessions (Bernstein, 2000). This report thus seeks to provide an overview of what spaced learning as a technique entails and on the basis of the reading of a selected list of essays, a research shall be conducted. In the following sections an account of the literature review and the findings of the report shall be provided. Shana K. Carpenter, Nicholas J. Cepeda, Doug Rohrer, Sean H. K. Kang and Harold Pashler (2012) in their article provides an overview of the benefits that students shall be reaping if they are made to study information related issues in fragmented sessions. This approach, as per their views is a product of the findings and reports based on the latest researches conducted for identifying the best methods of instruction and what could be the possible implications of it. They have laid a great deal of emphasis on the method of teaching students over multiple sessions, rather than in a single session, which they consider the best for enhancing the cognitive skills and memory retention of a student. The nature of the study is deductive in nature as it seeks to provide inferences and recommendations which reinstate the advantages of following a specific mode for teaching students. The drawback in this research is that the scholars have not made any mention with regard to the disadvantages of the method. Similarly, the recommendations have focused exclusively on the technicalities of how to derive best results out of correct application of the method. There have not been any mention throughout the essay on how to maneuver the challenges the system shall pose. Nevertheless, the novelty of the method lies in the fact that it provides enough space to the student to develop the intellectual strength. Doug Rohrer and Kelli Taylor (2006), like the previous group of scholars have argued in favour of alternative methods of learning which shall provide enough time and scope to the student to absorb the essence of the knowledge of what they are learning. Rohrer and Taylor (2006) have also harped on distributing the course into sessions, naturally the method of learning propounded is technically not very different. However, the differences in the approach cannot be ignored. Rohrer and Taylor have provided justifications for applying the method for improving the methods of teaching mathematics to students, but the previous group have provided a generalized account with regard to the applicability of the method to all disciplines invariably. Rohrer and Taylor have also provided for manipulative methods in case the need for teaching an overwhelmingly gigantic task crops up. This gives their research a cutting edge as they have attempted to chalk out solutions for emergency situations, hinting at the judiciousness and preparedness for all situations. Gui Xue, Leilei Meil, Chuansheng Chen, Zhong-Lin Lu, Russell Poldrack, and Qi Dong (2014) stresses upon the biological aspect to substantiate their argument favouring distributing the teaching of a course material in multiple sessions. They have come up with their study focusing on the harm that forceful methods of learning which tend to overburden the student do to the nervous system and to the brain. They argue that the nervous system and the functioning of the brain is very delicate and any amount of stress which exceeds the tolerable limits can cause adverse effects to the human resource. They relate the effect mental health could have on physical health using scientific arguments deduced on the basis of experiments and collection of empirical data. On the basis of it they have favoured the spaced learning mode of instruction which they hold as the only justified form of teaching to the students, since it is pointless to have a system of education that shall contribute to the cognitive capacities of a student. In the experiments conducted by them, spaced learning has produced the most positive results favouring the learning abilities of a student. Apart from spaced learning, the application of repetitive methods of learning also helps in enhancing the memory power of a student, in their opinion. Hailey S. Sobel, Nicholas J. Cepeda and Irina V. Kapler (2011) provides a dichotomous understanding of analysis of teaching methods in classroom and that when tested in a psychology laboratory. They opine that the approach which a teacher at a classroom applies is essentially oriented towards loading the brains of the students with as many information within the shortest possible time, and that is considered by teachers to be the best method of teaching. However when the same principle is tested in a laboratory, within an environment governed by controlled mechanism, the results have proven to be negative. Methods of mass learning and overburdening students with information might prove beneficial for the initial phase but in the long run they tend to result in declining rate of productivity and level of performance on part of the student. Hence, they stress upon spaced learning and they also favour the method which devotes special attention to students on an individual basis. Their focus was exclusively on the learning abilities of a student with particular reference to learning words from English language. However, the methods and techniques they had used to reach at their conclusuons can be generally applicable as well. Sean H. K. Kang (2016) expressing deep concerns for the lack of productivity on part of the students in the United States of America in mathematics and science when compared to other countries of the world, argues in favour of introducing spaced learning mode of instruction in the country. His work is based on an extensive study of cognitive and education psychology. He infers that the number of hours a student spends in school is just as important as the method of instruction he or she is being subjected to. Hence he lays a lot of emphasis on spaced learning as a technique to enhance the learning experience of a student. He also opines that practice is also an equally important factor in enhancing the learning experience. For the desired effect of spaced learning to be manifested, it must be ensured that the space learning mode of teaching be coupled with practice effect. He had discussed about the possible obstacles that could hinder space learning but had made no effort to show the negative outcomes of spaced learning or the drawbacks of the method. From the above discussion it becomes clear that the scholars have argued in favour of spaced learning with a supportive and evidential account of the benefits entailed in the method. Some have also pointed the potential obstacles that could hinder the process of spaced learning, but none of them have actually pointed out the remedies that should be applied in case the method fails to achieve the desired effect. It must also be acknowledged that the scholars have tried to view the problem from different angles and had thereby suggested different possibilities to the reach the same end albeit. Lured by the opportunity to avail academic credit, a total strength of 274 students had been enrolled into an online study conducted by the Swinburne Psychology Research Project Experience Program. Out of the total strength, 35 students had opted out, which made conducting the research possible only with 234 students, majority of whom were women accounting for 70 percentage. 27.62 percentage were men folks while 1.67 percentage of the accrual strength were gender non-binaries. All of them fell within the age bracket of 18 to 65. The mean has come to 21.34 and the rate of standard deviation at 3.12. 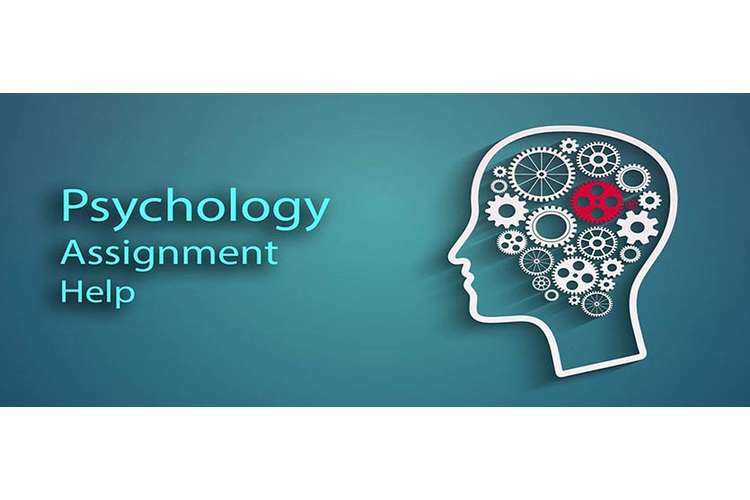 The participants were required to study the second chapter of the book; Pedagogy, symbolic control, and identity: Theory, Research, Critique; which deals with the methods employed in conducting researches in psychology related matters. There were separate sets of questionnaires which tested the cognitive and the memory skills of students, in form of both direct questions and multiple choice questions. There were also question which were related to questions related to the demographic composition of the chosen lot. The actual strength of the sample was divided into two sections randomly. One section had received instructions on massed practice condition, while the remaining half had received the instructions on distributed practice condition. They were instructed to log into an online portal and had just twenty five minutes to complete the test, on the basis of which the inferences of the study was arrived at. 1. Bernstein, B. B. (2000). Pedagogy, symbolic control, and identity: Theory, research, critique (No. 4). Rowman & Littlefield. 2. Carpenter, S. K., Cepeda, N. J., Rohrer, D., Kang, S. H., & Pashler, H. (2012). Using spacing to enhance diverse forms of learning: Review of recent research and implications for instruction. Educational Psychology Review, 24(3), 369-378. 3. Kang, S. H. (2016). Spaced repetition promotes efficient and effective learning: Policy implications for instruction. Policy Insights from the Behavioral and Brain Sciences, 3(1), 12-19. 4. Rohrer, D., & Taylor, K. (2006). The effects of overlearning and distributed practise on the retention of mathematics knowledge management system. Applied Cognitive Psychology: The Official Journal of the Society for Applied Research in Memory and Cognition, 20(9), 1209-1224. 5. Sobel, H. S., Cepeda, N. J., & Kapler, I. V. (2011). Spacing effects in real?world classroom vocabulary learning. Applied Cognitive Psychology, 25(5), 763-767. 6. Xue, G., Chen, C., Jin, Z., & Dong, Q. (2006). Cerebral asymmetry in the fusiform areas predicted the efficiency of learning a new writing system. Journal of Cognitive Neuroscience, 18(6), 923-931.